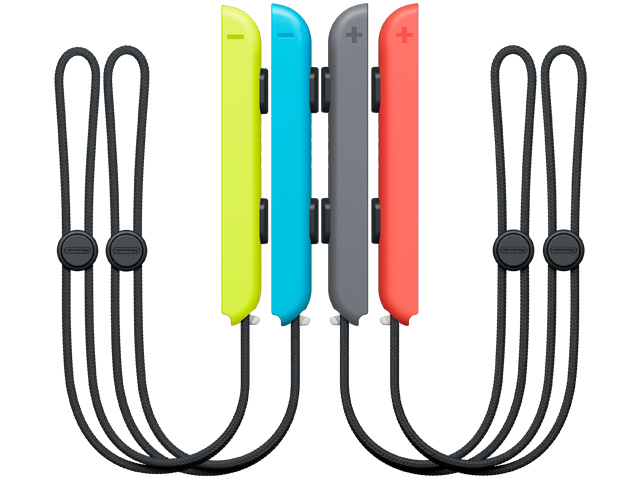 The Joy-Con™ wrist strap can be attached to a Joy-Con controller for use in games that include motion control or active play. When attached, it also allows the player to more easily press the SL and SR buttons. Each strap works with both left and right Joy-Con controllers.